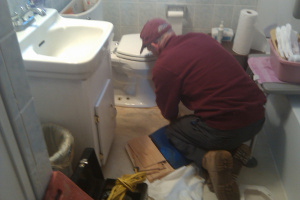 C J Plumbing & Heating Inc.
C J Plumbing & Heating Inc. has been East Bridgewater’s premier residential plumber since 1984. We offer a full range of plumbing and heating services designed to ensure the full functionality and safety of your systems, and we’re committed to providing the finest service to every customer. As a homeowner, your plumbing and heating systems put in a lot of hard work to keep your family healthy, safe and clean. That’s why, when something goes wrong—whether it’s a leaky faucet, a burst pipe, a water heater that’s not doing it’s job or a system that simply no longer keeps up with the demands of your family—you need a plumber in East Bridgewater, MA who can provide effective solutions. C J Plumbing & Heating Inc. has been that trusted plumber to countless area residents for over 30 years, and we’re dedicated to diagnosing and solving the plumbing and heating problems that affect our customers. 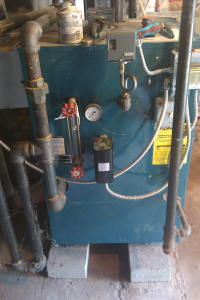 We are a full service residential plumbing and heating company. We’ve been a family owned and operated small business in East Bridgewater, MA since 1984. We specialize in plumbing and heating services—including installations and repairs—as well as bathroom and kitchen remodeling services. Our owner is a licensed master plumber, and we are members of many respected professional associations.